The ultimate cosmic hole formed when a very massive supergiant star explodes into a supernova at the end of its life. The explosion creates a super-dense point in space from whose gravity nothing can escape. To give birth to a black hole, a star must have a mass of at least 60 solar masses, which would give a black hole of around 3 solar masses. 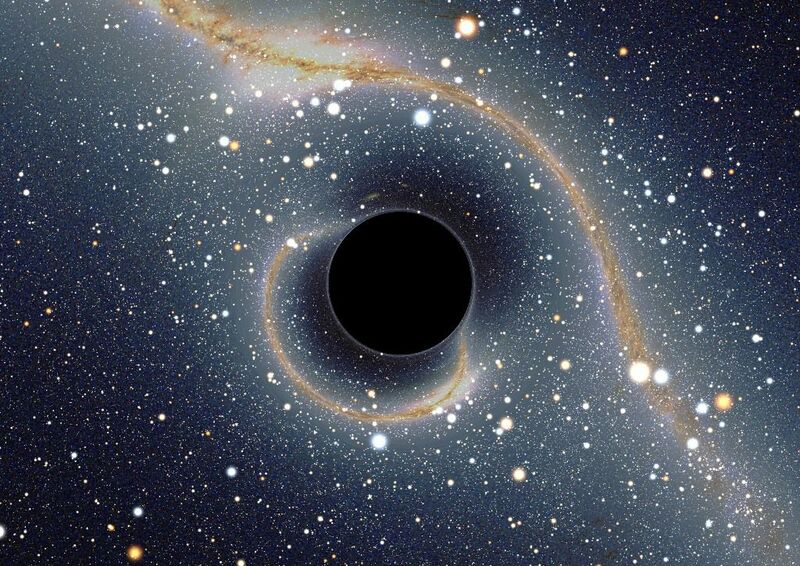 Black holes can be detected by their effects on nearby stars. It is thought that at the centre of most galaxies, including our own, there is a massive black hole that must have drawn in thousands of stars.